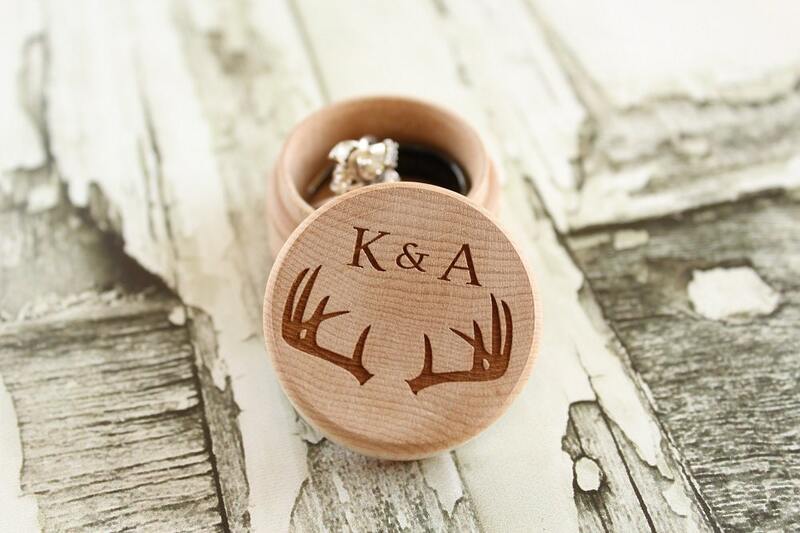 Laser Engraved Buck Antler Ring Box w/Initials. 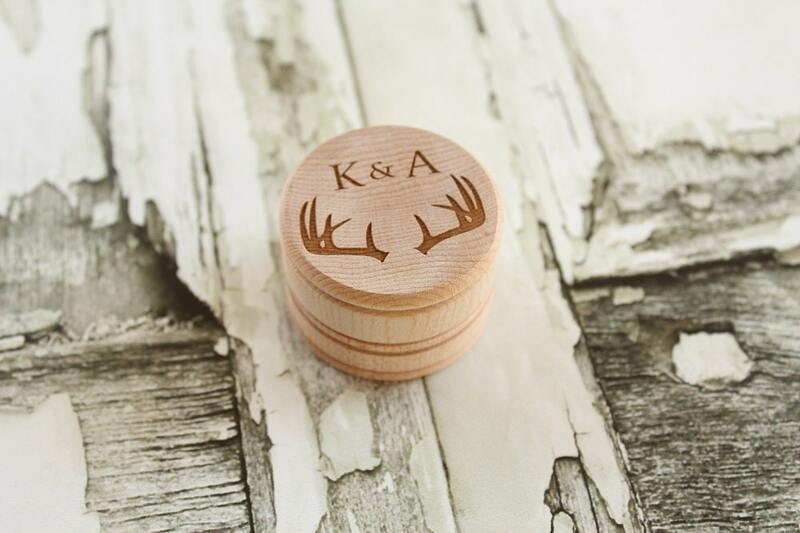 ♥ Buck Antlers and Initials laser engraved on the lid. The lid on this ring box is NOT tight fitting. 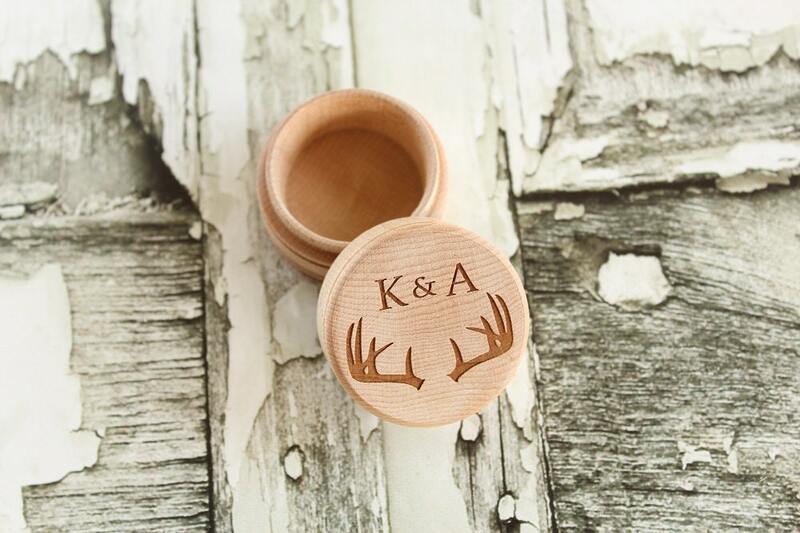 We recommend using this ring box for photo props and as a keepsake/storage box. 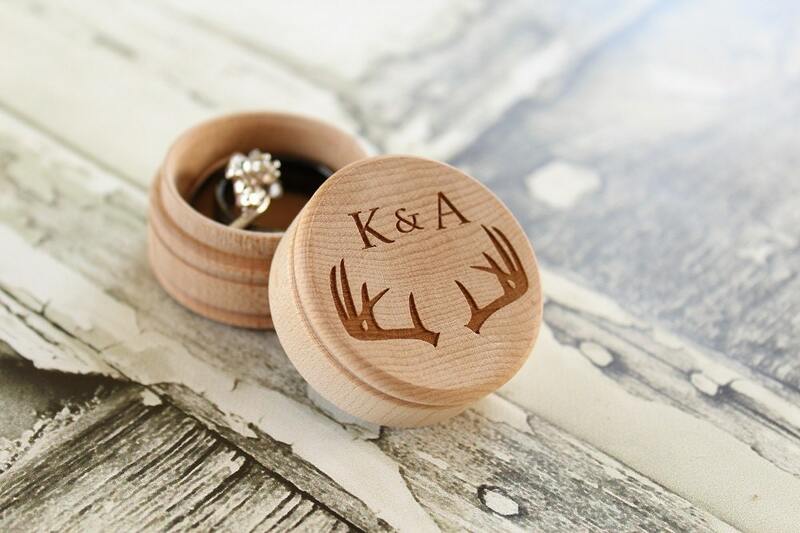 This ring box is not intended to securely store rings or be used in pockets the lid will come off easily. Fast shipping and the bride loved the box! LOVE IT! Made for some very dreamy pictures of our wedding bands. 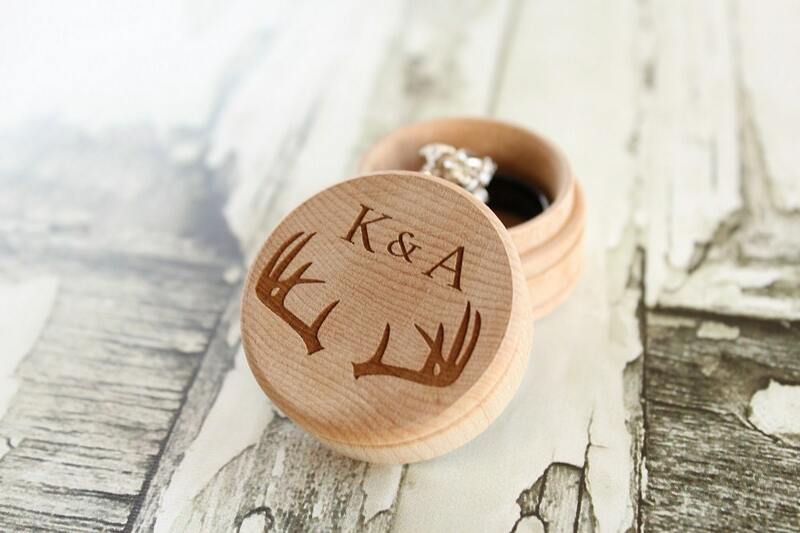 Shipping was very fast considering the ring box was also customized! It turned out gorgeous and I can't wait to use it for our wedding day!